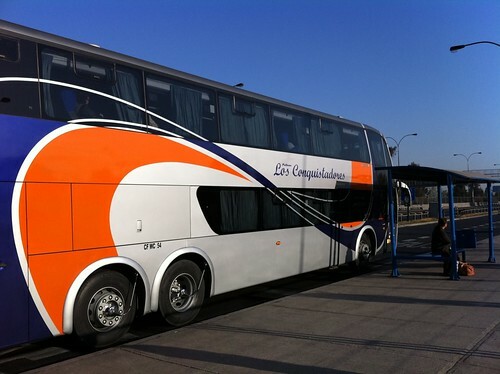 The most popular way to travel long distances within Chile is by bus. 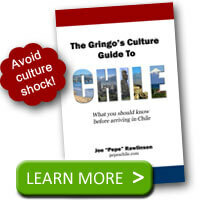 Both Chileans and tourists travel by bus and you can, too. Leaving the crazy intra-city buses of Transantiago aside, you’ll need to know the basics of traveling by long-haul bus within Chile to get the most out of your journey. 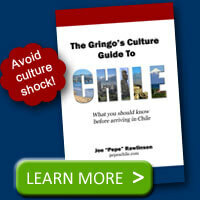 Suppose you are in Santiago, since that is Chile’s major international airport where most people arrive. You can always fly a Chilean airline to a far-off destination like Puerto Montt in the south or Antofagasta in the north. However, it may be cheaper to take a bus instead. The two big bus companies in Chile are Turbus and Pullman. In addition to these, you’ll find dozens of other smaller carriers and even more regional bus lines depending on where you are in the country. It is important to note that not all buses are the same. You’ll see double-decker buses and those with just one level. Each bus may also have different classes of seating. The more you pay, the more comfortable your seat. Clásico – Classic seating is a standard upright chair. You may not be able to recline. Semi-Cama – Semi-Bed seats recline a little more than a seat on an airplane. Cama – Bed seats aren’t really beds but they feel like big oversized recliners. You can recline significantly but won’t be flat. Premium – Premium seats will let you fully recline and sleep like you were in a bed. These are the most expensive tickets. Each bus line may have different names for their seating classes. However, when you buy tickets, pictures will be available to illustrate the types of seats with the varying degrees of reclining. Choose your seat carefully. If you are a taking a 12-hour bus ride overnight, you will probably not want to do that sitting upright the whole way. Remember that you are competing for seats against the locals. You may very well be the only foreigner on the bus. Because Chileans like to travel on weekends and holidays, ticket selection will be more difficult for you when buying tickets last minute or on these days. If you can buy your tickets in advance, do it. When arriving at your destination, try to immediately buy return tickets if you haven’t already, and you’ll get a better selection than if you wait. You can buy your bus tickets at the bus terminal. The major bus lines like Turbus and Pullman also have offices scattered throughout the country. For example, you’ll be able to buy bus tickets for these two carriers at many major shopping malls. @Anne – Chorrillana is a good one to cover, thanks for the idea.